Google has added a vigil candle to their search page. The alt text when you hover on the candle reads: "Our hearts are with the families and community of Newton, Connecticut." I had considered writing a diatribe about my thoughts on gun control (and they are not what you may think, no matter what side of the fence you sit on), but in retrospect I don't think I could have said it any better. So I will leave it at that. And like the people at Google, my heart is saddened with what happened yesterday. I am not a religous person, but I will be praying for the Newton, CT today. Facebook has had many missteps over the past few years, both with regard to privacy and design. That fact can’t be overlooked. 99% of that, though, I can forgive. It is all part of moving from a physical world, where interaction is analog (either face to face or over the telephone) to the digital world (where interactions are passive and broadcast to everyone.) In fact, Mark Zuckerberg and the Facebook team should be complimented for taking the risks that they have to push the world of interaction in a new direction. They have created something that started out in 2004 as a dating site for Harvard University students and turned it into the premier social networking site on the internet. Today Facebook has more than 1 billion active users. If you think about that for a second, that’s 3 active accounts for every man, woman and child in the United States. The reasons that I am leaving this social juggernaut are much more mundane. To begin, I just don’t find it that useful anymore. I have 249 friends on Facebook, of which I don’t really interact with that many. This creates a lot of clutter in my life that I don’t really need. To pick through all of the gifs (pictures) that people have re-posted that contain spiritual quotes, inspirational sayings or funny comments can be VERY tedious to say the least. The problem with Facebook’s popularity is that people share things on a whim, and 99% of it does not interest me, and just winds up being a waste of my time, taking me away from the things that are really important (my family, my girlfriend and my job). So what will I do going forward. One week from today (on December 17, 2012) I am going to deactivate my Facebook account. I pledge not to post anything for a minimum of two months. I will not appear in people's timelines, you will not be able to find me by searching for me, and I will not receive any of the messages that are sent to me. If on February 17th, 2013 I decide that I need to come back I will. Until that time you will be able to find me on Google+. The service has many more features and works better with my lifestyle than Facebook. If anyone is interested in joining me, I invite you to add me to your circles (once you check it out that will make more sense.) You all may say that Google+ is just a less popular version of Facebook, and to some point you are right, but Google+ has a better layout, better tools and more organization than Facebook ever thought of. Besides, Google already knows everything about me. 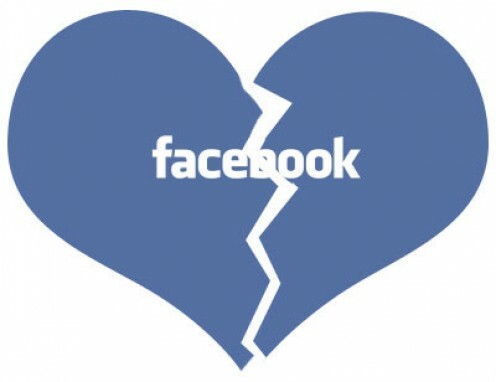 So, to all of my Facebook friends: See you on February 17th, or maybe not. I get asked the question all the time, mostly because of my job, "What do you use your smartphone for?" The typical answer can be just about anything except doing the dishes. The following post is, and some of the posts to follow will outline, specifically, some of the most useful things that I use my smartphone for. I am going to try to keep them platform agnostic as possible, because I truly don't prefer one smartphone operating system to another, so everyone should receive some benefit from these posts. Currently, I am using an Samsung Galaxy Nexus running Android 4.2.1, but I have used and will use in the future (I'm sure), iPhones, Windows Phones and Blackberrys. BeyondPod is one of my most used apps for many reasons; chief among them is because I spend a lot of time driving, and I need to be both productive and alert during that time. I find that listening to podcasts is great way to accomplish both of these objectives. Many people will tell you that they can't suffer a long trip without music. But when you spend enough time driving, the repetition that comes along with a regular radio station is maddening. Radio stations have to play what is most popular in order to keep listeners coming back. Which means they play the same 15 to 20 songs on a reoccurring loop, ALL DAY LONG. Not to mention, when you drive long distances, I typically drive between 35 and 70 miles one way to work, you can drive in and out of radio station coverage, and keeping the constant stream of music flowing can be a hassle. Not to mention the 10 minute long commercial blocks that radio stations need to subject you to in order to remain financially solvent. Call me crazy, but I hearing the same used car dealer prattle on time and time again about how much inventory they have, and their great pricing just doesn't hold my attention. I also use podcasts to be productive. If you have an interest, hobby, profession or maybe you want to learn a new language, there is someone in the world that produces a podcast for you. In my current profession I need to keep current on what is going on with technology. So my playlist includes: All About Android, MacBreak Weekly, Tech News Today, This Week in Google and This Week in Tech (all from the TWiT network). There are times when I do get "tech'd our" though, so I also subscribe to Freakanomics Radio, and The Moth Podcast, when I want to listen to human interest stories. But you can find podcasts that cover just about everything under the sun from personal fitness to financial management to cooking to sports to music. If there it is written about on the internet, then chances are there is a podcast about it somewhere out there. BeyondPod is hardly the only podcasting app out there. I have been using BeyondPod for more than a couple of years and find it easy to navigate (because of familiarity) and very functional. There are quite a few podcasting apps in each of the respective operating systems app stores, and in fact iOS, Windows Phone and Blackberry all have their own podcast app built into the operating system. My suggestion is to try out a few and pick one you like. It's free and easy, and like I said, much more engaging and entertaining then listening to "DEALS, DEALS, DEALS!" One topic that has been in the news a lot lately, at least in tech circles, is internet privacy and how it should be governed. Of this I have a conflicted view. On one hand I can see the need not to make it legal for any government agency to just be snooping around in your stuff, but on the other hand I do see the benefit to some sort of monitoring. The current rules that govern electronic communication, The Electronic Communications Privacy Act of 1986, are a little outdated I would say. Since 1986 the web has totally change. Think of it this way: Yesterday, November 20th, was the 28th anniversary of the release of Windows 1.0, that's the original version of the operating system that 90% of the world uses now. Internet Explorer wasn't released until 1995, Apple's Safari in 2003, Mozilla's Firefox in 2004 and Google's Chrome in 2008. Much of the web wasn't even thought of in 1986. Forms of communication like Facebook (2003), Twitter (2006) and even Google (~1998) were not even a twinkle in their creators eyes in 1986. Since that time the web has become a go-to form of communication for many people, companies, not-for-profit agencies, organizations and yes, bad people. Let's face it, the web is faster, cheaper and more secure than face to face interaction, telephony, fax, courier and snail mail. You can communicate and store and transfer large amounts of data with the click of a button. But, good people are not the only ones who have figured this out; bad guys are smart too; and there has to be ways to act at the speed of communication. The current amendment to the Electronic Communications Privacy Act would allow for certain government agencies to obtain records of emails, data stored online (via Dropbox, Google Drive, iCloud etc.) to be obtained by 22 federal agencies without the need for a time consuming warrant only a subpoena would be necessary. This would reduce the time needed to procure, what may be life saving, information. I think this principal has its merits. One part of the amendment that I disagree with is that the agency would not have to tell you if they have obtained those records for as long as 360 days. This is done for the purposes of ongoing investigations. While on one hand I have watched enough episodes of Law and Order to know that a strong case needs to be assembled, I am a little uncomfortable with the fact that the government may show up on my doorstep a year from now and say "Last year we looked at your Dropbox and Gmail accounts and we didn't find anything." I am of the opinion that if you don't want something to be out there for the world to see and for your comments pictures and activity to be entombed on the internet for eternity (because they will be) then don't put it on the internet. Use some common sense. But as the old saying goes: "Common sense is not always that common." I am also of the opinion that if you aren't willing to accept your punishment, then you probably shouldn't be a criminal, because at some point you will get caught. There is no such thing as a perfect crime. Technology will always out-pace Law, there is no disputing that. But I would say that a law that was written in 1986, that is used to govern electronic communications is ancient by the internets standards. Does it need to be re-written? Of course. But I don't want it to be re-written in terms that move us closer to a socialist state like the former Soviet Union or current China. Let's take some time to think about this and write a law that will be able to evolve to support the good citizens on the internet as well as punish the people that use it for evil. Don't just jump at a piece of legislation because you are in a lame-duck session and you want to get it on the books so that you can leave your governmental stamp on the internet. Obviously, these are only my opinions. And this is only a VERY rudimentary explanation of what is going on. If you want more information so you can form your own opinion I suggest CNETs article by Declan McCullagh (Senate bill rewrite lets feds read your e-mail without warrants), this is the article that broke the news yesterday. And if your opinion is strong enough, I urge you to contact your local Senator (Contact Elected Officials) to let your voice be heard on the matter. And if you want to let me know how you feel, leave me a comment, I'm always open to learning and hearing other peoples point of view. There comes a time when you have to figure out what you want to do with your life. For me that time has come in the last couple of weeks. I have done many things in my life and worn many hats. I have gone from working in an amusement park right out of college to building homes and construction, to building furniture in a factory, bar tending, customer service, product representative to national retail locations and currently am in sales management. My life has changed at many different times of my life, and sometimes that change was forced, but I have always landed on my feet and will continue to do so. I have also had many dreams in life, and not all of them have been realized. During college I wanted to own a bar (I even had a name: The Third Base - The Last Stop Before Home, clever huh?). Then I worked in a bar, and... well... 2 o'clock in the morning on a Tuesday trying to usher drunks out quickly ended that dream. I have wanted to be a custom woodworker. I don't know why I gave up on this, probably lack of time and money needed to start. I have wanted to be a writer. I wanted to be a reporter, start my own blog, and tell people about whatever was on my mind. But for anyone who has suffered through some of my writing, you can figure out why I gave up on that endeavor (plus I lack the consistency to sit down and write regularly). Currently I am in a "dreamless" state, I don't know what I want to do, I am looking for that next "hat" to wear. It may be that I am where I am supposed to be. What is next? I don't know, but in all of the years that I have been working, the only thing that has stayed constant is change. It has come at me whether I want it to or not. The thing that determines how successful you are in life is how you adapt to that change. Do you let it crush you? Or do you embrace it, make it work for you and rise above? As for my part I would like to say that I have been fairly successful at rolling with the punches. There are so many things that I would like to do more of. this list includes things that I do know how to do and things that I don't exactly know where to begin. It often puts me in a state of paralysis so that I don't know where to begin, so I wind up doing nothing and add it to my "bucket list". And unfortunately the longer I live, the more things that pop up that I would like to do. Some of the things that I have done that used to appear on that list have been accomplished (like visiting Washington DC on the 4th of July), but they are the types of things that are single shot events, nothing that takes more commitment and resolve. Start a blog and stick to it. I love to write. It is my (easy) way of creating things. Since I no longer work in a manufacturing industry, it has become an outlet for me to express my creative side. I have started a couple of blogs (including this one) at different times and always find an excuse to stop, whether it be because I run out of ideas or time. I have tried different things from posting daily to weekly etc., but eventually there is always something more important to do or I have a brain cramp. Get in better shape. This is another one that takes time and energy. And I realize that the more energy that you expend the more energy you will have, but it sometimes is easier just to say the hell with it. I am also the type of person that gets easily distracted, so the Internet winds up sucking me in. I have tried different workout routines and running and cycling, but can't ever seem to stick with it. Start my own business. I have dreamed of being my own boss for a very long time, but never have quite the right idea, and don't know how to monetize. To top it off I have a job that pays well and a lot of bills (I have expensive taste) and my current job supports that. I have reconciled this one by telling myself that the retail store that I manage is like my own business, but somehow I don't think that I will get the same satisfaction out it. Be more social. This is one that is VERY difficult with my current job. I wind up spending about 3 hours a day driving, and 9+ hours a day working. That cuts out the hours between 7:30am and 8pm (sometimes later). I often have to rely on social media to stay connected with friends, which is OK, but there is nothing like face to face interaction. Become more organized. This one I have gotten better at, but I always seem to fall off the bandwagon at some point. Different methods and programs have come and gone, but I always revert to the circular file and my calendar for bill reminders. Essentially I think that what I have to do is prioritize, come up with a plan, and stick to it. Although I am not sure where to start…. This is a repost of an article that I published on Tumblr last year. This is the story that you will hear over and over again by many, many computer users across the web. I used to be all about the PC. Microsoft had me believing that it was the best solution for all of my computing needs. Sure I had used an iPhone before, and it WAS a great experience. To this day I still claim that my favorite phone that I have used is a jailbroken iPhone 3GS. But surely the experience on a Mac couldn’t be that much better than the PCs that I had used for years. After all, how could 80% of the computing world be wrong? Right? Let me answer that rhetorical question for you: WRONG. About two months ago I decided to buy an iPad, just to see what all of the hub bub was about. Needless to say, I loved it. It became a mainstay of my internet and entertainment usage. I used it to surf the web, play social games, email, social networking, listen to music and the list goes on. Three weeks later I decided to move on from my beloved Google Nexus One and move on to an iPhone 4. The iPhone is great, always has been, but don’t get me wrong, I still love Android and all that it has to offer. I do like that it just works. There is very little crashing of apps and with less user maintenance than Android I get the same results. My transformation became complete when I tried to sync my new iPhone to my Asus laptop. While many, many people sync their iPhones to iTunes via a PC and have no problems; I had nothing but problems. And this wasn’t the first time, previously I had problems with Microsoft de-authorizing my copy of Windows, crashing and freezing programs, slow startup times and problems connecting to my secure wi-fi network (which includes wireless printing). So on to apple.com I went and ordered my first MacBook Air. Sure I spent (a lot) more money on a less powerful machine, but I have never regretted it. My new MacBook Air is light, powerful, fast, easy to use, and… it just works. There is no crashing, no error messages, no compatibility issues; in short no frustration. So you can call me hypocrite if you wish. And after 20 years of Mac bashing, I deserve that. But going forward, after I have experienced what life without computing frustration is like, I will never every buy another PC. And my advice to anyone who is considering a new computer: Buy a Mac. Spend the extra money and cry once. Once you experience a Mac I am confident that you too will never go back to a Microsoft product. P.S. I have also purchase an Apple TV since my Mac purchase. AAAAAnd queue the “Fanboy” chants. 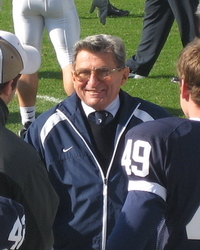 As most people know (unless you live under a rock) Joe Paterno died a couple of days ago. He was many things to many different people. To most that played for him he was a father figure, a role model, a coach and a mentor. To others, whether you liked Penn State football or not he symbolized winning, as he is the winningest coach in Division I NCAA Football history. While still for others, because of the events that lead to his firing at Penn State, he symbolized that which is wrong with college athletics and the power that they command. All that pushed aside, and above all else, he was a father and a grandfather. This morning I saw an interview with his son Jay, who is currently an assistant coach at Penn State, on ESPN this morning. The interview discussed what JoPa meant to him, his family and his team. One of the most poignant parts of the interview for me was when Jay discussed how his son asked for a minute alone with JoPa, at which point he read Rudyard Kipling’s “If” to his grandfather. As I had never read the poem before, I Googled it and was very touched. This should be required reading for every boy in middle school. If you hope to become a man these are sound rules that should govern every man’s life, not only in fatherhood, but also in business and life in general. At the moment that he read this JoPa’s grandson was more of a man that most.